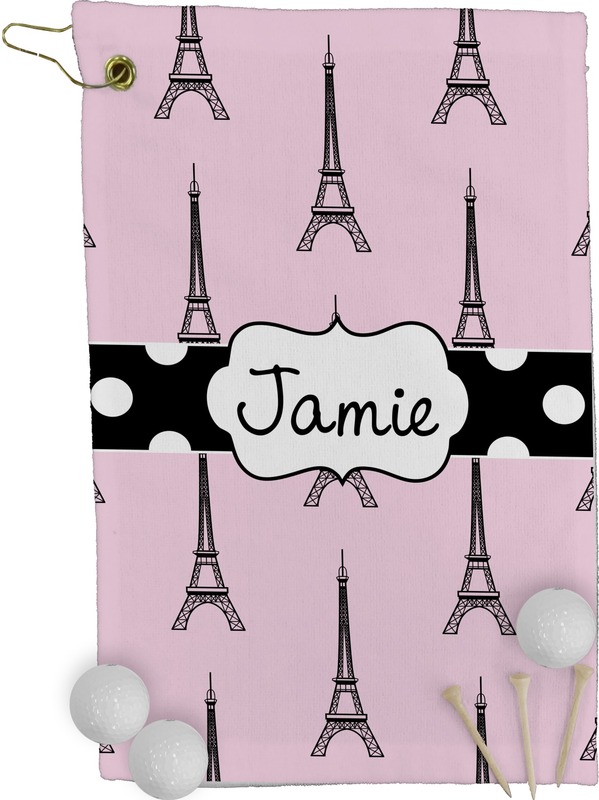 Why settle for plain golf towel, when you can have a super stylish golf towel that is fully patterned / printed & personalized hanging on your golf bag. Theoretically our golf towels should improve your golf game. You ask how? They will make you smile each time you use them and thus improve your game! This golf towel is approximately 11x18". The towel is fully printed / patterned on the front polyester side; and is white on terrycloth cotton backside. The towel has grommet and a pear spring clip in the top left corner. Our golf towels are available in 100s of different prints and patterns. As with all our products, personalization is FREE and optional - it is your choice to personalize or not. 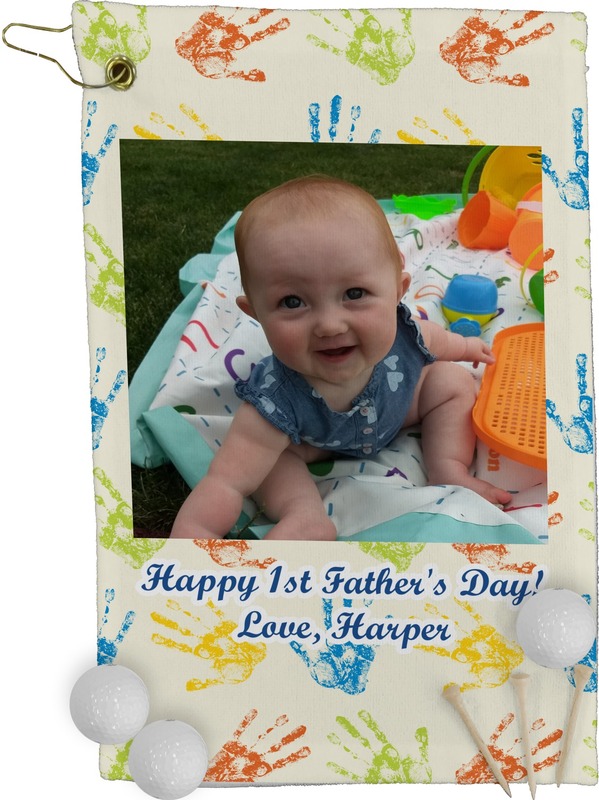 We have masculine, feminine and kid friendly designs - so finding something you like should be easy. You can also always design the golf towel yourself. You can use any one of the thousands of patterns & graphics in our system; or you can even upload your own logo and create a design around it. 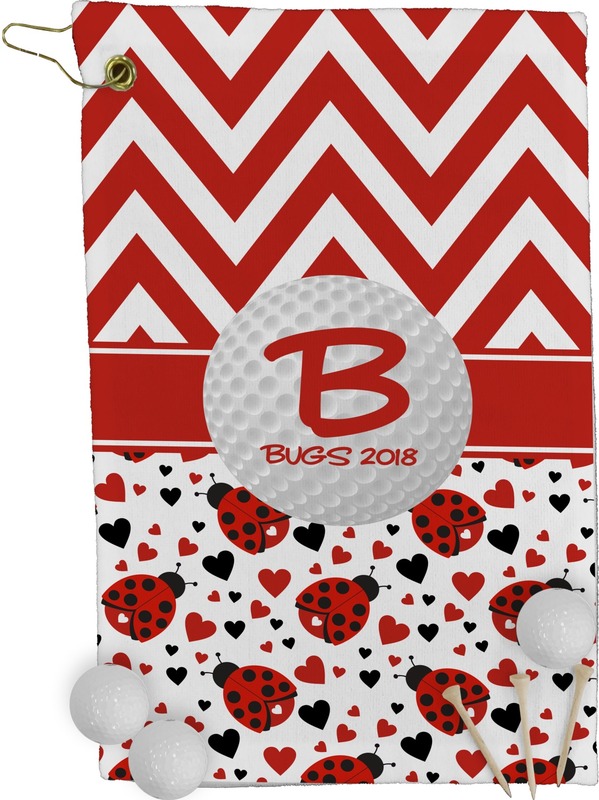 If you need golf towels with your logo for your golf club, golf league or golf tournament, please contact us and we will gladly help create a design just for you. We can make your golf towels all the same or we can personalized each towel. You may also like our golf towel gift set which includes our putter cover and our tee & ball market set. Our luggage tags also perfect for your golf bag. Be sure to browse our Golf Section for a number of other golf related products such as ball markers, divot tools and golf accessory bags. We also have designs specifically made for golf! The towel design and customized printing looks great. However, I wish the towel was a heavier quality. It is quite thin and light weight. These were great. Do you have a discount if order 20 or more? Yes we do! Any each one can even have a different name on it! Check out Group Orders for more details. Great gift for my daughter. Everything was as ordered. Delivered on time.